we are looking incredibly HAPPY, right? 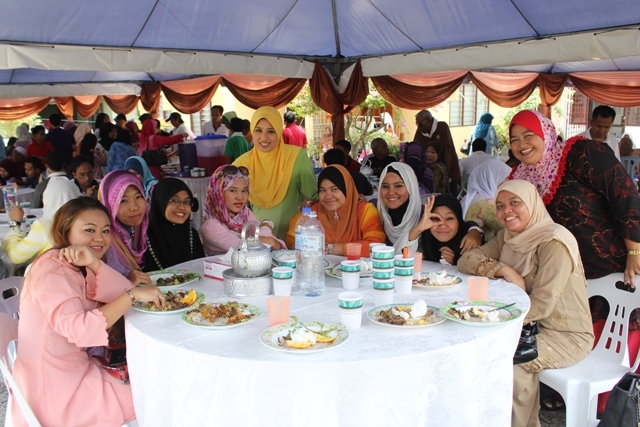 yes, we were and right now, we are planning for the second outing together and hopefully the crowd will be bigger. 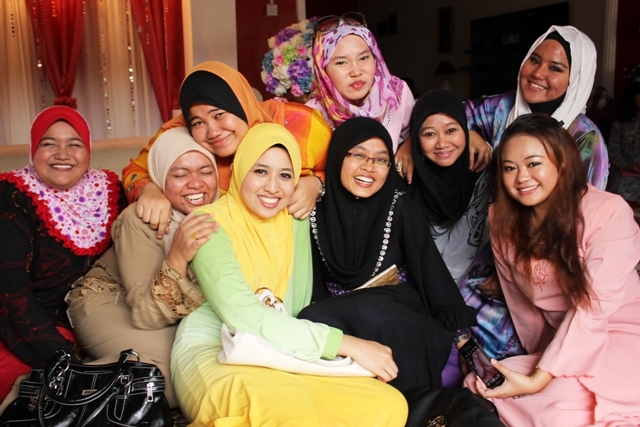 so, here are some of the awesome shots of my hostel-mates and me on the last weekend when we gathered at our dazzling Deli's wedding. 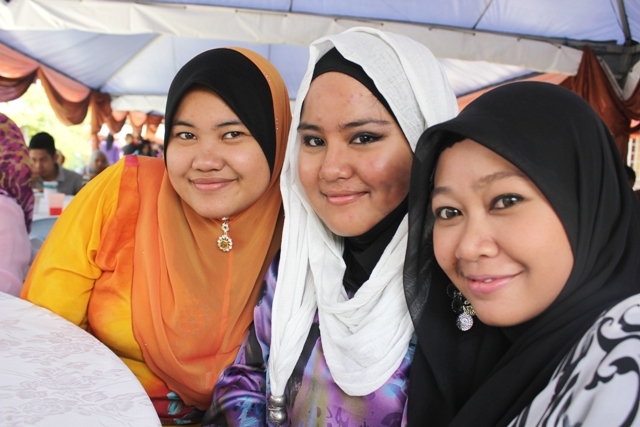 well, this is just 3/4 of us means there are more beautiful girls who was unable to join us on that day. 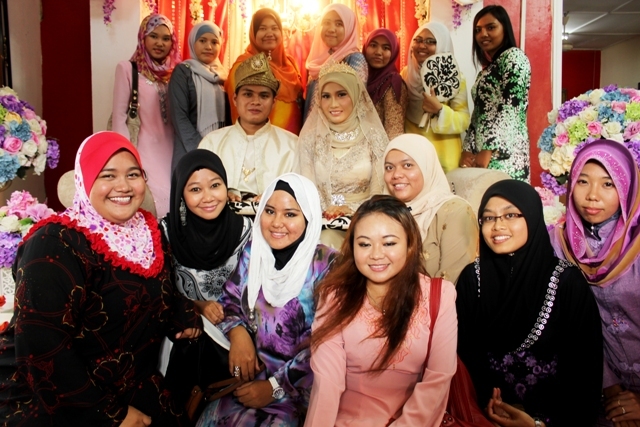 honestly, its been almost 6 years that i haven't see some of the people in this photo which i had missed them so much. 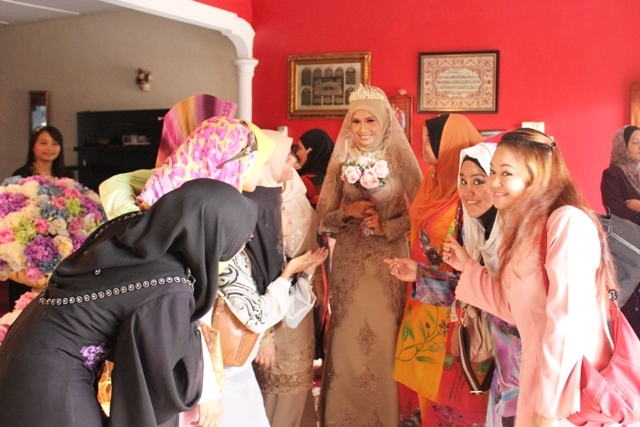 thus, i should thanked the wedding as its always been a great opportunity for a sudden gathering! 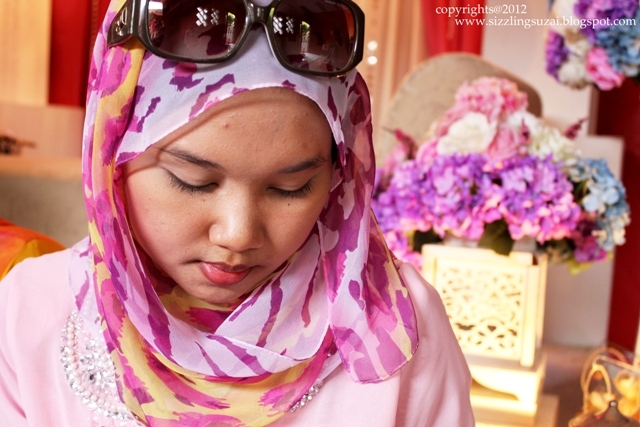 thus, here are some stunning close-up shot that was taken by my Canon EOS550D. hopefully, you like it as i adore it so much. 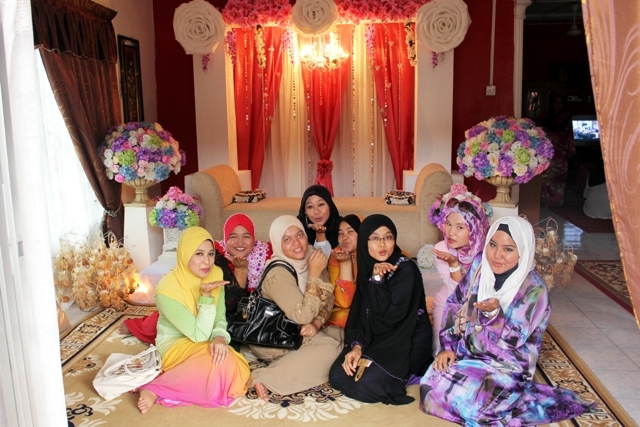 haha..thanks to the model Noor Azuwanna Rosli, Siti Nurliayana Jawawi and Nadzirah Yaakob! 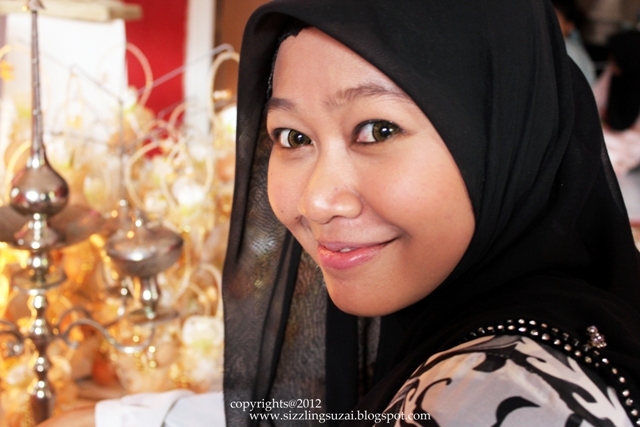 Location : Dalilah's Wedding, Kajang. Photographer : random including SizzlingSuzai. ahakkss! 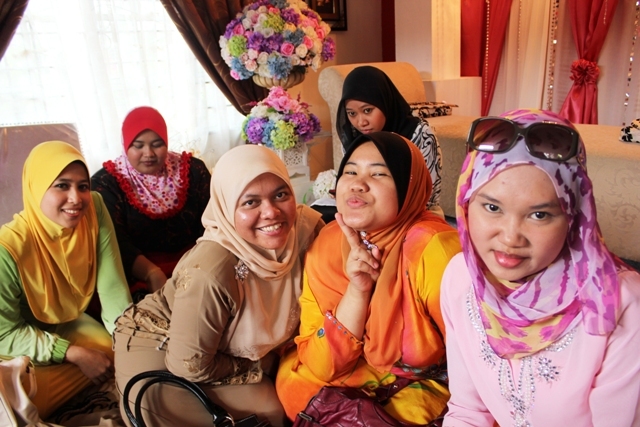 hahahha..akak ogosh ku syg tdk la dlm mase trdekat kak. ahhaha..akk dah selamat ke bersalinnyerr??? Great Camera the Canon 550D, and good photographer too! Very nice photos... Good Job! tq soooooooo much james!! =)) yup its a great camera dear!